Iglesia de san Lucas is a church that was built in the 1700s and is known for its understated beauty and lovely mass. It is reminiscent of old Mexico and is located in a quiet neighborhood in Cabo. This church was constructed by Spanish missionaries. It is surrounded by a plaza that houses restaurants and shops. Stop by at this church if you’ve had enough of beach madness and would like to sample some culture. How popular is Iglesia De San Lucas? People normally club together Arte De Origen and Lovers Beach while planning their visit to Iglesia De San Lucas. 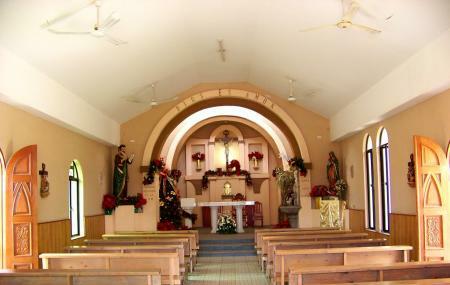 People also prefer to start their day with Iglesia De San Lucas.